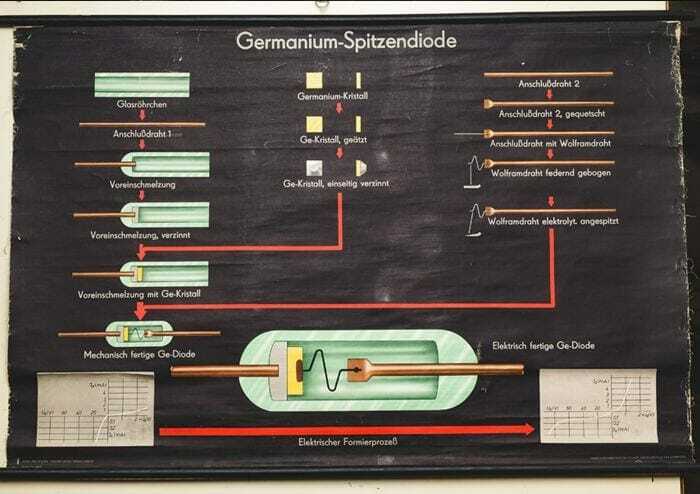 Vintage German educational chart. Printed on paper with aluminum supports on top and bottom. Loop at the top for hanging. Mid-20th century.